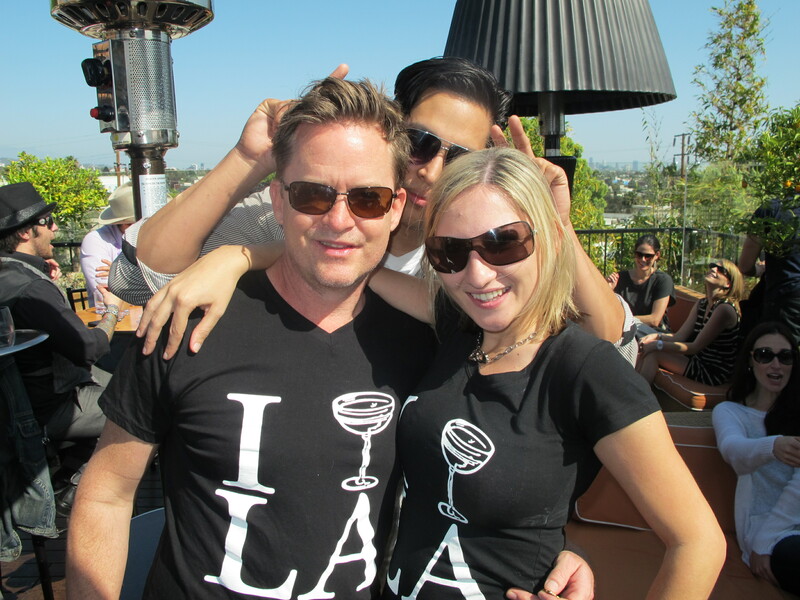 Sporting Life is a bartender Networking Group (by invitation only) that consists of Bartenders, their significant others, Liquor Reps, Cocktail enthusiasts and those truly in search of a great drink in Los Angeles. The committee members Tatsu Oiye, Eric Tecosky, Joe Keeper, Glenn Gritzner, Marcos Tello and Aidan Demarest were there in full force this fine sunny Sunday, and as always did a great job creating an enjoyable afternoon. 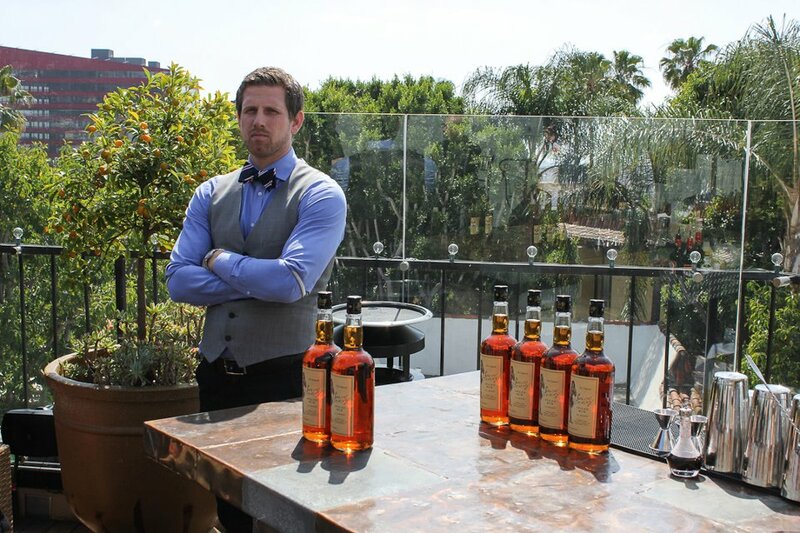 They are a talented group of individuals on their own and a necessity to the cocktail community in Los Angeles. Together they organize these wonderful events once a month, at a different bar/location across the city and so far with a different drink sponsor each time. It’s really impressive. I can’t believe only a few months ago I was embarrassed to join my boyfriend at these events because I didn’t know anyone, and now I enter recognizing so many faces and truly feel I am hanging out with friends. The cocktail community in the city of Los Angeles is so ridiculously supportive of each other, it still astounds me. If something is happening in the City this group of enthusiasts makes an effort to show their support. Marcos Tello made his usual announcements of bars opening, events happening and guest bartending locations across the city, then legendary mixology icon Dale Degroff stopped by to give a little speech. A host of regulars attended this Sunday due to it’s Anniversary status, that included fellow blogger Caroline on Crack (who I am yet to meet in person, but keep attending events and then discovering she was also there! ), Giovanni Martinez (Sadie), Brandon Reynolds (Townhouse), Louis Anderman (MMBitters), Zahra Bates (Providence), Francois Vera (Harvard & Stone) and Greg Bryson (Bar Chloe) to name just a handful. Then we had the drinking… Sponsor this month was Sailor Jerry Rum. I rather like Sailor Jerry, but I know a few bartenders who weren’t such a huge fan of the brand at the start but ended up being thoroughly impressed by the drinks made with it at this event. The drinks list was put together by Brian Stewart and consisted of 3 drinks, one of which was a true favorite of mine, a classic Daiquiri. I proceeded to sit and drink Daiquiris like lemonade all day, because they were made perfectly. Sweet, refreshing and balanced. My boyfriend FG had ‘The Deck Hand’ which he said tasted like a vanilla spiced Mai tai and found it to be extremely flavorful and delicious also. There were a variety of nibbles going around too. I had a chocolate croissant, yoghurt with granola and a few mini burgers. It was true “Bartenders Breakfast” type food and all were delicious. 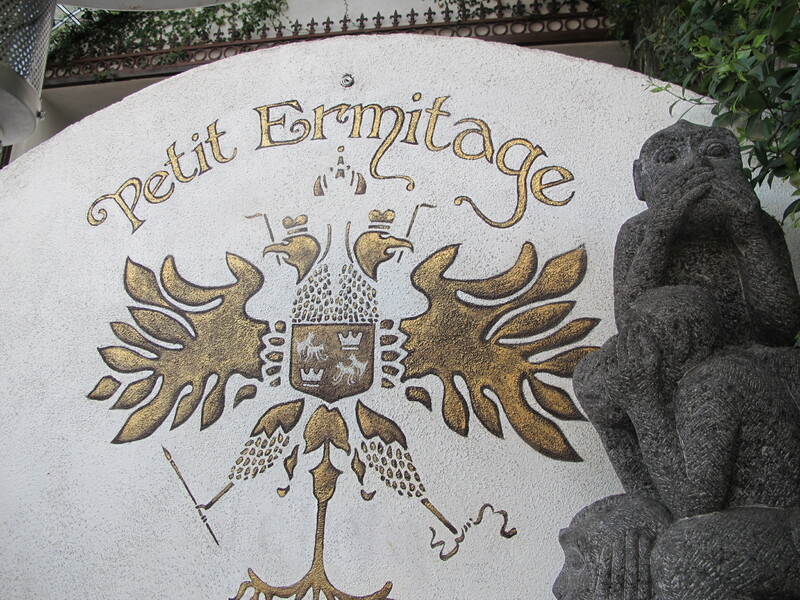 Petit Ermitage is a very quaint boutique hotel hidden away on a residential street. It has the ‘Celebrity status’ of places like Chateaux Marmont, only it’s not as pretentious. This has a much more intimate feel to it. 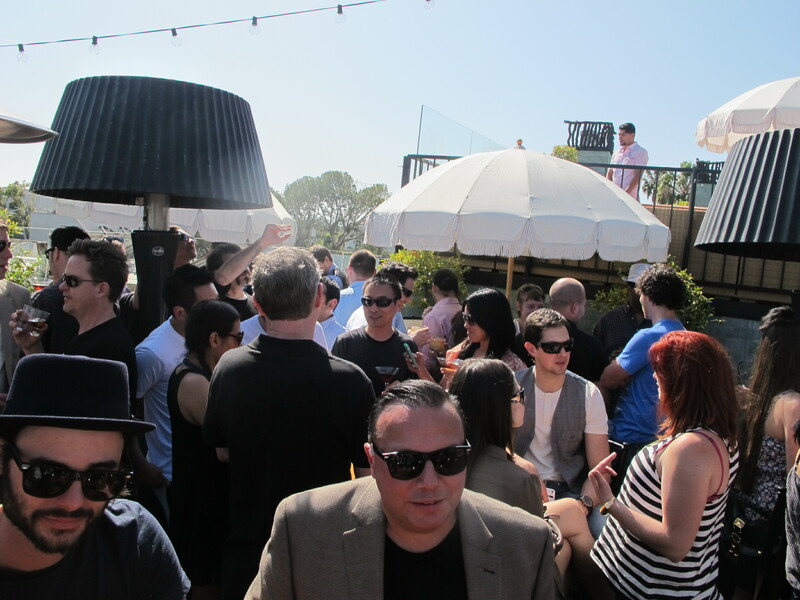 The rooftop bar/pool area where we had the event is for hotel guests or members only. It had the most gorgeous garden area and views of Los Angeles all around and a heated pool that Tatsu ended up in, but I couldn’t bring myself to get in (the wind was too chilly.) The hotel has a really interesting French/Venetian decor and a fairy tale like quality to it. The entrance was so beautiful with a floral stained glass arch way and vines growing up the sides. It was like I was entering a ‘Secret Garden’. For more details and photos of this hotel check out their website here. For the record: Petit Ermitage has a very strict no camera policy but with ‘photographic consent’ we were able to get a couple of photos of the event itself. Some of the photos in this post were taken by myself, however the professional style (i.e Good ones), were taken by Tatsu Oiye. like that before. So wonderful to discover someone with a few original thoughts on this issue.